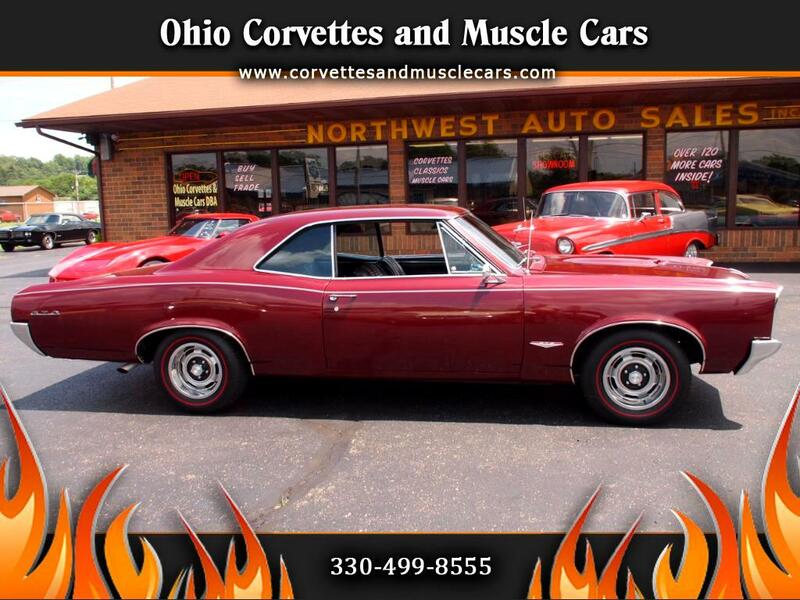 We've just added an extremely nice 1966 GTO 2 door hardtop from North Carolina to our inventory of GTOs. This one is powered by the famous Pontiac 400 ci engine with 3 deuces (it was a tri-power from the factory) putting out 360 HP, and a 4 speed The engine was rebuilt in '06 with 77,540 miles on it (we have the receipts). In analyzing the receipts we have, it appears that the car was redone in phases from '05 t0 '07. Included in the restoration were transmission, rear end, brakes, suspension (both front and rear), clutch, fuel lines, and radiator. Along with the rear main seal being replaced. The receipts total a little over $16,000. This car came equipped with a console and floor mounted Hurst shifter, the Rally gauge cluster with tach, power brakes, and a Safe-T-Track (posi-traction) rear axle with 3.55 gears, AM push button radio, and black vinyl bucket seats. It is painted in its original color of Burgundy. Mechanically, this car is in excellent shape. It has traveled less than 3600 miles since the restoration work was completed. Front suspension is tight, brakes are very good, rear suspension is firm, transmission and clutch are as they were from the factory. This is a car that would win a lot of local shows...very nice, but not too nice to drive and enjoy. We have the PHS documentation confirming the correctness of the car.